What drugs are you on? 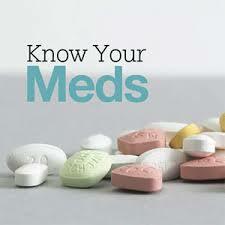 I am going to go through the most common high blood pressure (hypertension) drugs that are being prescribed today. Some of them have some serious side effects which possibly many patients don’t know about. You should know the facts! I think you should know exactly what the drug you are taking is doing to your body. Is it always necessary to take a prescribed hypertension drug, or are there any other ways to control your elevated blood pressure? Will your doctor offer you an alternatives to taking a drug with side effects? I doubt it! But before I go into the first hypertension drug known as a Diuretic, I want to tell you a little story about a man called Mike in his 40s, who was suffering from some worrying problems, the worst of which was chest pain. He first thought it was indigestion but when he started getting pains in the night, he started to get worried. Mike consulted a cardiologist who said his arteries were a little blocked but not yet serious enough to have any surgery, but surgery would have to be done sooner or later. He also had elevated cholesterol and the cardiologist advised him to lay off the butter and eggs and gave Mike nitroglycerine for his chest pain. The cardiologist said he would prescribe more medications if Mike’s symptoms worsened. Now Mike wasn’t the kind of person to take things at face value and he decided to do a little research for himself. He found out that chest pain known as angina, doesn’t always mean blocked arteries and often it’s because of a mineral deficiency, a magnesium (Mg) deficiency being the most common. Around 50% of heart attacks happen despite there being no evidence of arterial blockages, clots or other cardiovascular events. Also, 50% of fatal heart attacks are suffered by people who have never had previous problems with a heart event. The cause of these attacks can be from muscle spasms in the cardio system. Cardiac arrhythmia can occur because of a serious sudden decline in vital magnesium. The heart can then go into spasm or cramp, just like any other muscle which cramps up such as in your calf muscle. Without Mg, the heart will die! This often happens to very fit people such as athletes and those with a stressed and high powered lifestyle, which Mike had. With the stresses of competing or training excessively, playing a hard game or training in very hot/cold weather and/or a lack of water and electrolytes, the heart can be depleted very quickly of vital Mg. Without Mg, the heart contracts, but cannot relax which can result in sudden death. Remember that Mg is the relaxation mineral, calcium (Ca) is the contraction mineral. These two minerals work together and should be in equilibrium to keep your muscles working efficiently. It is the most common that Ca is in abundance whilst Mg is depleted, which will give you a Mg deficiency by default. Mike also found out that Mg is a natural blood pressure (BP) regulator and can help to keep BP at its optimum. Mg can be used to control high BP and restricts the amount of calcium (Ca) getting into the cells. Ca should be mainly outside our cells whilst Mg should be inside them. Mg opens the channels that allow Ca into the cell when necessary and Mg ushers Ca out of the cells when the task is finished. If Ca is allowed to stay in the cell, it will cause cell death. Armed with all his research Mike returned to his cardiologist. Whilst waiting to be seen by him, the nurse took Mike’s BP and it was elevated. This surprised Mike because at home it was usually close to normal. After being informed of Mike’s BP reading, the cardiologist came marching into the room and starting talking about BP medication. (If on the first reading, your nurse or medic says your BP is elevated, ask for a second reading and either close your eyes or look at a blank wall during the process. There is a high probability the 2nd reading will be lower (white coat syndrome). Mike responded by suggesting Mg. The cardiologist was visibly annoyed and stated that Mg was used to control pre-eclampsia in pregnant women because it had no side effects. He continued that there were plenty of good hypertensive drugs for everyone else. Mike said that he would also prefer not to have any side effects. With that, the cardiologist gathered up his paperwork and flounced out of the room retorting as he went that Mike should come back when he was ready to accept medication for his cardiovascular disease. Mike started to take a good quality Mg supplement and changed his diet to include foods with Mg. Living a pressured life, he also worked on lowering his stress levels and upped his Mg dose when he knew he would be having a stressful day. He started working out and increased his Mg intake to alleviate the effects of sweating and excessive exertion. Within 12 weeks, Mike was a new man. His chest pain had gone and he felt calmer and able to cope with all that life threw his way. His blood pressure was normal and his energy was up. Try to avoid getting on the treadmill of BP drugs unless it cannot be controlled naturally. Once on them, most patients are on them for life! Question your medic if your BP is supposedly “pre-hypertensive” ie. 120-139 over 80-90 and BP medication is suggested. This “pre-hypertensive” is a relatively new concept. IMHO it is aimed at getting even more people on BP medication than is really necessary. Don’t forget, we are all different and our BP readings will vary from one person to another. The elderly will often naturally have a slightly elevated BP because their arteries may be a little less pliable with age. The first drug that Mike would have been prescribed would likely have been a diuretic. These are the first drugs often used when patients are initially diagnosed with high BP. Sometimes called ‘water pills’, this drug flushes water from the body, the theory being that if you have less water and sodium in your bloodstream, then the blood vessels will be less pressurized. This is a rather hit and miss procedure because there is no way of telling how much water the patient carries without doing a series of tests. If the patient is already dehydrated, diuretics could worsen the problem by thickening the blood and exacerbating clot related conditions. Strokes and DVT (deep vein thrombosis) come to mind. Dehydration actually causes blood pressure to rise as the body tries to compensate for the loss of water by constricting blood vessels. The body also lessens the moisture lost from sweating and breathing. If blood vessels are constricted you will have higher BP. 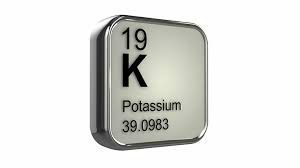 Patients are told that the side effects of diuretics can be a potassium (K) deficiency because diuretics induce K to be flushed through the system. K pills are often prescribed to counteract this loss but what is not realized by many medics is that Mg is drained from the body along with the K! A Mg deficiency leads to constricted blood vessels which are more likely to spasm, a forerunner to hypertension. So the diuretic treatment actually worsens the problem. How many of you have been on a diuretic which has actually cured your high BP? Another ill-considered problem is that replacing the deficient K will not work without replacing the deficient Mg. Without Mg the body is unable to transport K to the cells. Very rarely is Mg given as a supplement along with K.
The most common side effects of a diuretic is muscle cramps, weakness, joint pain, gout, heart arrythmias, headaches, dizziness, increased blood sugar, gastric upsets, impotence, lethargy. It’s not a coincidence that all of these conditions are symptoms of a Mg deficiency! Meanwhile, have a look at the information slip in your medication box and get yourself educated about what is going into your body and the possible side effects. If you do suffer side effects, ask you doctor to change your medication to a drug which doesn’t exhibit the symptoms you’re having. Discuss possible natural alternatives with your doctor, that’s if he/she is receptive to it. Don’t forget, most doctors have scant knowledge of vitamins, minerals and nutrients. Many don’t take kindly to patients questioning the treatment they have been prescribed. 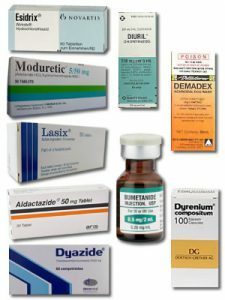 In Part 2 of this article, I will go through some other hypertension drugs you may be prescribed. Do you actually know what hypertensive drugs you are taking and what the possible side effects are? I had no idea all of the benefits provided by magnesium. I take magnesium citrate everyday and I do this because it’s supposed to support the nervous system and increase energy production. I didn’t know about all the benefits for the heart. Actually it sounds like magnesium is critical to heart function. I am really glad I found your post, this is fantastic information. It seems like so many doctors want to just prescribe meds and get people out of the office. Of course not all doctors operate this way, but a lot of them do. Thank you so much for sharing this. I really am glad I took the time to read your article and now I can spread the word about magnesium and how important it is for us. Hi Steve & Kris, The most important words in your comment were “…now I can spread the word about magnesium and how important it is for us”. Thank you for taking the trouble to read the post and I sincerely hope it will change your cardiovascular health for the better as well as your general health. Allopathic doctors, I’m afraid, have their hands somewhat tied as to what they can prescribe or not as the case may be. 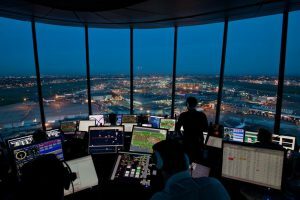 If they buck the trend, they are liable to be reprimanded and in some cases, they can be struck off and vilified for what they believe in. Take Dr Andrew Wakefield for example, an amazing gastroenterologist and researcher,now struck off because he publicly expressed his opinion that the measles, mumps, and rubella vaccines should be given separately to avoid neurological reactions. Only brave doctors will speak their minds nowadays because they have too much to lose. This is a great website. I found this information really helpful and easy to read. I have used magnesium personally in the past. I used it as a muscle relaxant and “calming” agent. I found it wonderfully beneficial for my body. I am lucky that I haven’t started having any heart issues or blood pressure problems as yet. I will definitely try to remember your wonderful advice if I need it in the future. My question to you is, does magnesium have to be taken with a “friend” in order to help absorption?. I mean in the way like iron and vitamin C work really well together. Thanks for this article. Hi GBIG and thanks for your input. I’m pleased you found the article of value to you. As for your question, that’s a good one! Magnesium (Mg) absorption is greatly impaired if the digestive system is under par. With Mg deficiency, gastric acid declines further exacerbating Mg absorption, a vicious circle. It is a misnomer that acid indigestion is caused by too much acid as the opposite is usually the case. Further diminishing stomach acid by using PPIs (Proton Pump Inhibitors) and antacids, particularly calcium based ones, only makes the situation worse and can lead to serious illnesses. Even most doctors seem to think that too much acid is the problem otherwise they wouldn’t prescribe these dangerous PPIs and similar drugs. So your ‘friend’ for absorption in the first instance is an efficient digestive system that produces enough acid to digest and split the component parts that makes up the mineral. Then the magnesium ion is released and is able to enter the cells to do its work. Magnesium Chloride in IMHO is the best supplement. It is very easily split from the chloride because it is weakly bound. For instance, Mg oxide is tightly bound to oxygen and mostly goes straight through you. If you want to stay Mg replete, watch your calcium intake. Mg is sparce in our modern diet but is needed and used up by a plethora of functions in the body, so depletes quickly. Calcium on the other hand, is abundant in our diet, stays in the body and is easily over consumed. 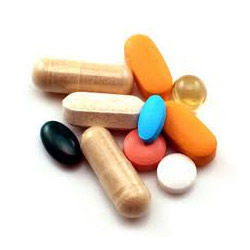 Ca supplementation is encouraged by medics and food manufacturers alike to the detriment of many and causing innumerable conditions and problems. Keep your Mg and Ca intake as near to a ratio of 1 : 1 as possible, this is quite a task and that’s why supplementing with Mg is vital for most of us. By the way, for those that have had an adverse CCS (coronary calcium scan) taking Vitamin K2 (MK7) with Mg is an efficient way of moving excess Ca out of the soft tissue and back into the bones where it belongs.